With this recipe of Chicken Skewers, we explore classic spices and aromatics of different countries from Asia. The chicken boti spices explode with flavour and colour. The lime avocado dip cools things down and clears the palate – ready for the next bite. View full recipe below! 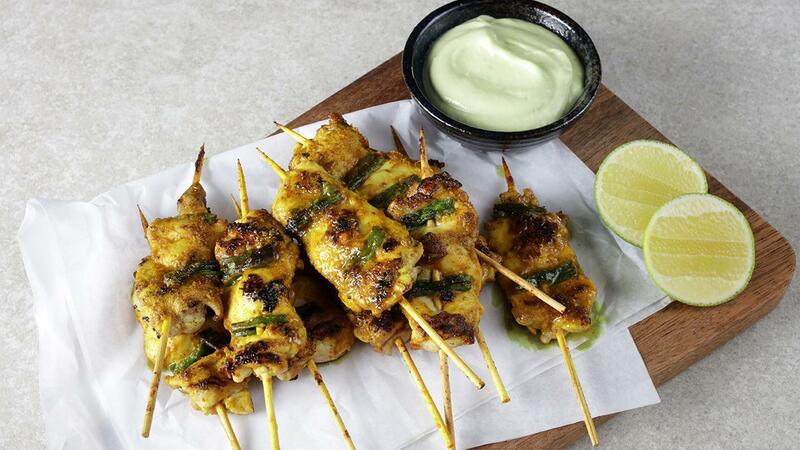 Mix together Rafhan Corn Oil, turmeric, ginger, lemongrass and Knorr Coating Mix Marinade. Marinade chicken for 6 hours before grilling. Skewer the marinated chicken along with the spring onion pieces. Simple lime wedges will do. Make sure to soak the wooden skewers in water for a while before skewering. This will prevent the skewers from burning.